Amazon has finally brought access to its Cloud Drive for UK users. The cloud storage locker was launched in the US over a year ago but, as usual with Amazon, it has taken a while to ship it across the Atlantic. Users will get 5GB of free storage, while a subscription to 20GB of data is £6 a year. Storage guzzlers can get 1TB a year for £320. The company has also rolled-out the Cloud Drive app for Mac and PC, which'll allow users to control files from their desktop. Media files will be available online using the Cloud Player. The solution arrives on UK soil to tackle the likes of Apple's iCloud, Google Drive, Dropbox and Microsoft's SkyDrive. With free storage available through all platforms, there's plenty of options available. The timing of the launch may be linked to the mystery Amazon event announced for September 9. Rumours are abound that Amazon will launch a sequel to the Kindle Fire. 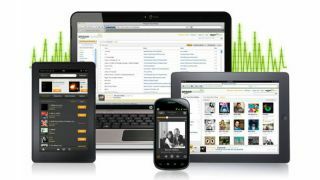 Could this mean Amazon will finally launch a version of its tablet on UK soil?